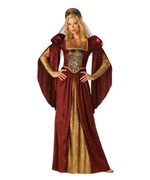 Medieval Lady Lionheart Women Costume. 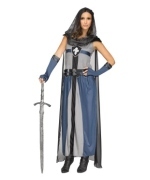 Includes ankle length gray/navy gown with attached sheer cape, faux feather belts and Fleur-de-lis crest on the front and chainmail inspired hood and navy fingerless gloves with faux-leather trim. 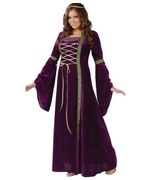 Available in womens sizes Small/Medium 2-8 and Medium/Large 10-14. 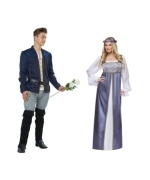 Whether defending your kingdom on the battlefield or dressing for a costume event, this ensemble is perfect for you! 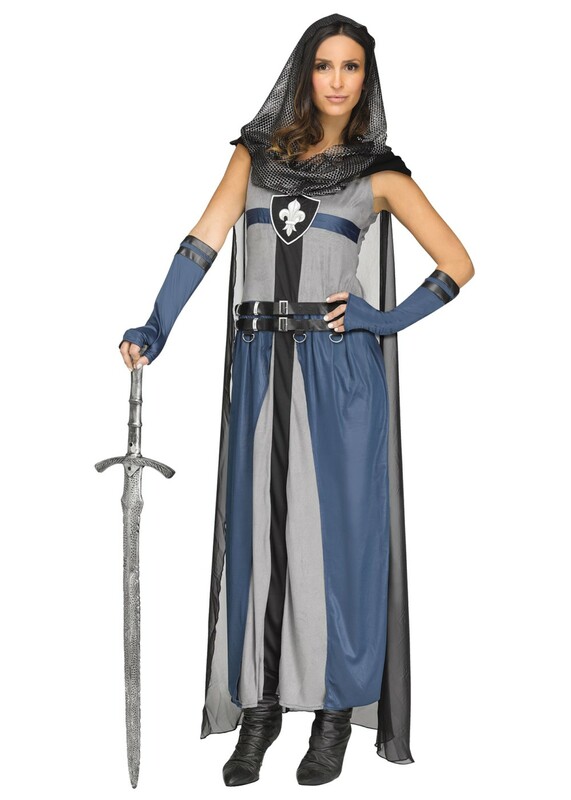 The long gown for a medieval lady but the detailing and accessories of a knight. 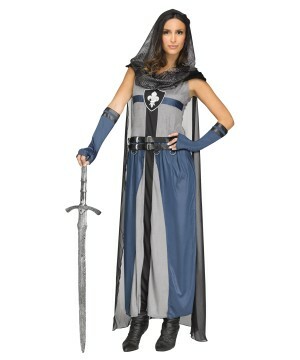 You will strike fear into the hearts of anyone who dare oppose you! 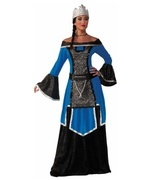 Review(s) for " Medieval Lady Lionheart Women Costume"